The SunWah Group has officially opened the sale the Sunwah Pearl apartment owning the prime location near the Saigon Pearl with the utility systems, the diverse services, and the great price only from 2 300 USD/sqm. This is the third product which the Sunwah Group invests and develops in Viet Nam, this project is considered as a masterpiece of the Sunwah Group, thus the name of the SunWah Pearl is also considered as the bright pearl in the vibrant Saigon. 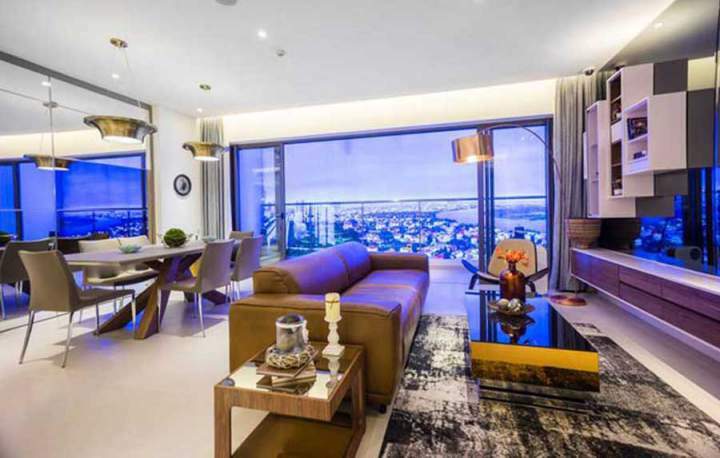 Especially, the Sunwah Pearl Nguyen Huu Canh apartment is also the high-end apartment lines having the best price in the area of Binh Thanh District. The clients will have the opportunities to find the ideal residence or get highly profitable in the SunWah Pearl project. In May and June of 2017, the real estate group of Hong Kong will officially announce the sale of Sun Wah Pearl apartment project, Nguyen Huu Canh, Binh Thanh, and Ho Chi Minh City. Previously, the real estate of Hong Kong of Sunwah Group is known with the success of projects such as the Saigon Pearl (Binh Thanh), the Sunwah Tower (District 1). – The investor: the Sun Wah Group Real estate corporation (Hong Kong). -The location: No 90, Nguyen Huu Canh, Ward 22, Binh Thanh District, Ho Chi Minh City. 2. 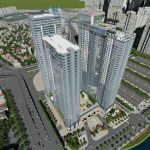 The high-end apartment with the trade – service: three Sunwah residential towers with 45 floors. – The starting construction: the fourth quarter of 2016. – The procedure: the fourth quarter of 2019. The selling the Sunwah Pearl Saigon apartment will receive officially of the registration of the priority position in first time of the May – June of 2017. The Sunwah Pearl condominium project owns a prime location at No 90, Nguyen Huu Canh Street, Ward 22, Binh Thanh District, Ho Chi Minh City in front of the Saigon Pearl project and near the Thu Thiem bridge. 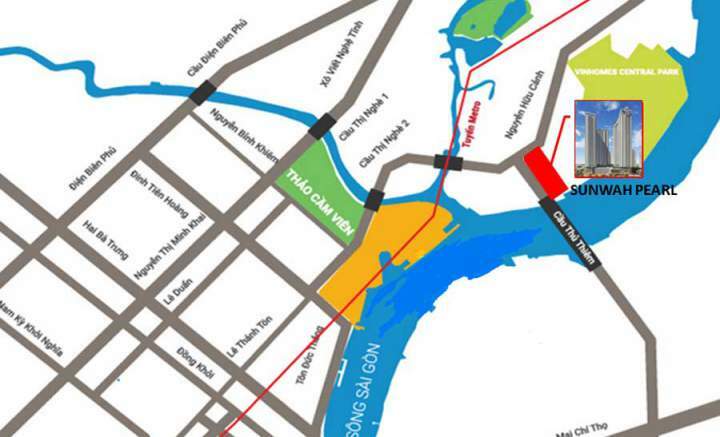 From the Sunwah Pearl Nguyen Huu Canh Binh Thanh project, it takes just a few minutes to walk to Thu Thiem Bridge where is connected to the Thu Thiem new urban in the future, it will be the commercial center – Services – Finance – Culture of the city. Furthermore, the Sunwah Pearl Saigon apartment also owns the facade of Saigon River bringing the cool air of four-season Green River. It takes 3 minutes to move the center of District 1through Nguyen Huu Canh Street axis and approximately 5-8 minutes to flexibly connect to the neighboring area, the famous venues, the functional areas of finance, services, entertainment … where are important of the city conveniently. 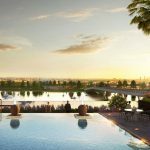 The Sunwah Pearl Saigon is planned and developed into a self-contained complex, the multifunctional system with diversified utility, perfect service desiring to bring to the perfect lifestyle for residents at the Sunwah Pearl. – Trade Center, senior services. – The A class Office. – Super market with a full range of essential items. The Sun Wah Pearl project not only owns the series combination of perfect utilities of the internal zone but also owns the diverse and high-end utility system of the external zone. The apartments at the Sunwah Pearl project are designed luxury, sophistication having the area of flexibility for customers’ selection such as 51-124 sqm with 1-3 luxurious bedrooms. The price of the Sunwah Pearl apartment is expected about 2000 – 2300 USD/ sqm. Its price also depends on the apartments, customized floors and customize view. In May and June of 2017, the Sun Wah Pearl apartment will announce officially about holding the priority position, select flat beauty with great price and good policy for all interested clients desiring to own the ideal residence, you have also the opportunity to invest with the good price at the first time of the second quarter of 2017. – In June and the July of 2017, the clients have booked up select who will be selected the department and register the deposit of the purchase of official apartment. – With the deposit of the customer for the purchase of apartments B1, 2, the Sunwah apartment’s investor also gives the information about holding the priority position at Tower B3 in July of 2017. The customers are interested in the Sunwah Pearl apartment, please register the form below to receive the “INFORMATION – POLICY – UPDATE – PRICE” in July of 2017.
Who Is The Owner Of Sunwah Pearl Saigon Project?